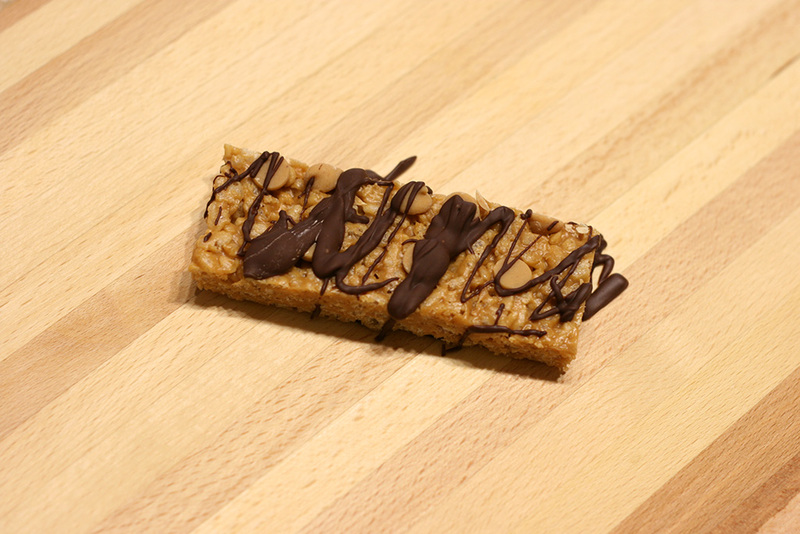 A crunchy peanut buttery bar dipped in chocolate. These are very yummy! I like to top these with peanut butter chips which can be found in the baking row, right by the chocolate chips. 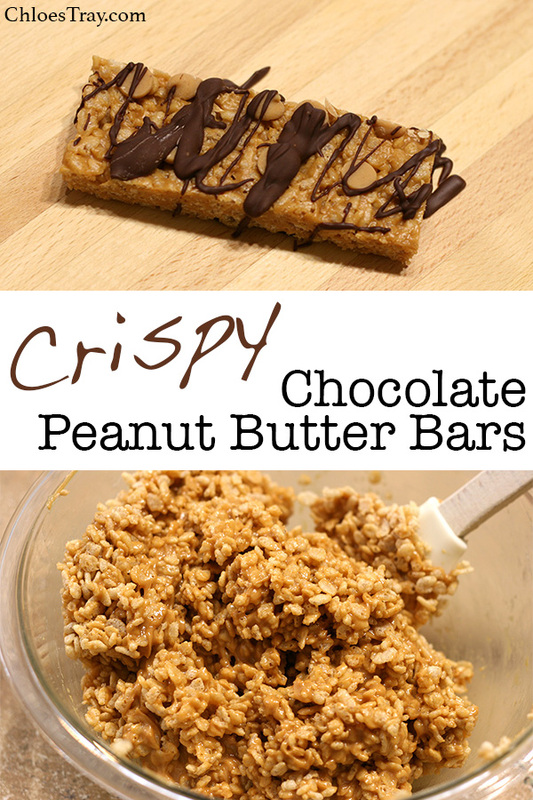 If you love peanut butter, you will love these bars. Line a 9×13 inch pan with parchment paper. 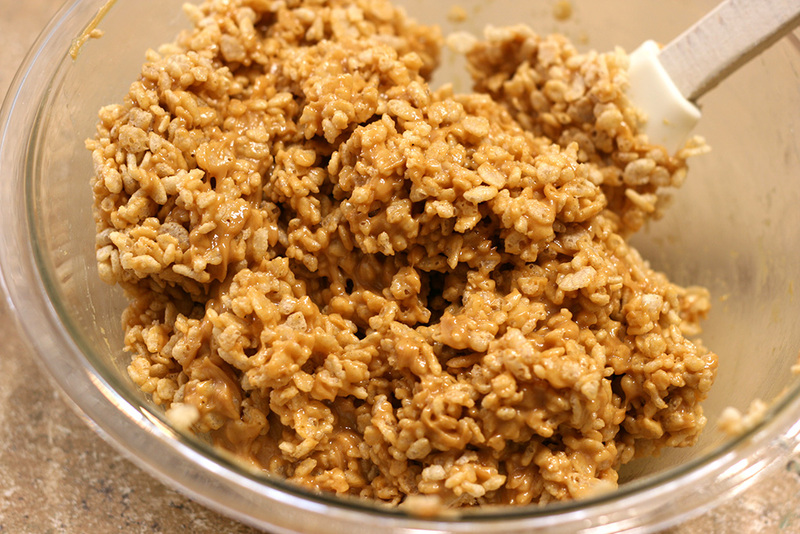 In a large bowl, combine peanut butter and honey. Microwave for 30 seconds. Stir in vanilla. Gently fold in Rice Krispies cereal until well combined. 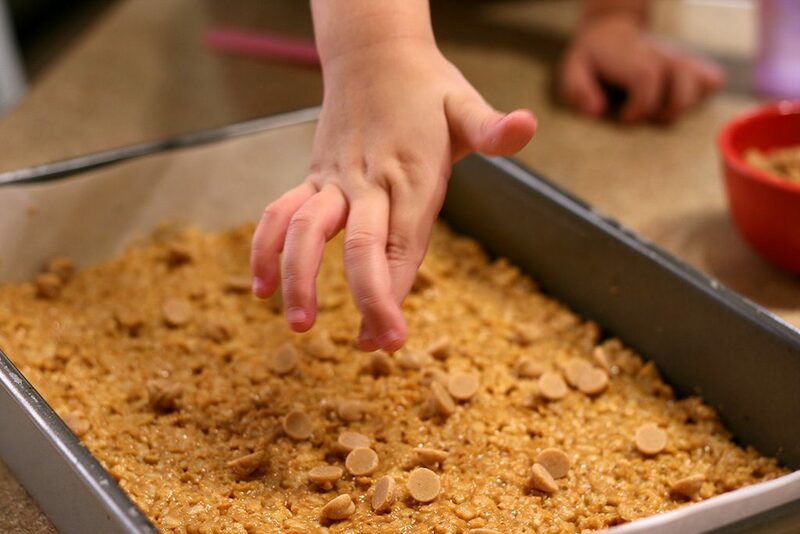 Press into prepared pan and top with peanut butter chips. Press the peanut butter chips down gently. Refrigerate until cooled and solid. Cut into 18 bars. Place chocolate chips in a microwave safe dish and heat at 50% power for 30 seconds at a time, stirring in between until melted. Dip bars in chocolate and place on parchment paper. If the bars get too soft to pick up, put them in the freezer for a few minutes. Mix shortening in the remaining chocolate and drizzle over the bars.